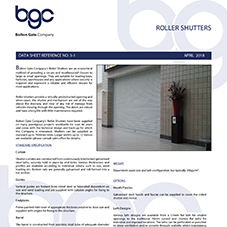 Bolton Gate Insulated Roller Shutters provide a secure and weatherproof closure to large or small openings. 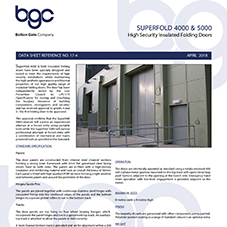 They are suitable for loading bays, factories, warehouses and any applications where security is required together with thermal insulation. Roller shutters provide a virtually unobstructed opening and when open, the shutter and mechanism are out of the way above the doorway and clear of any risk of damage from vehicles moving through the opening. The doors are robust and have a long life with little maintenance required. 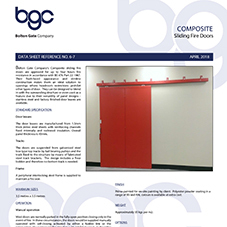 These doors have been used extensively on projects worldwide where their strength and robust design assures longevity of life and reliability of operation. 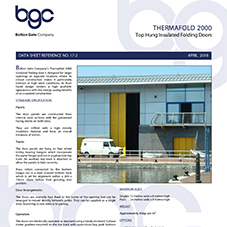 The Thermafold 2000 insulated folding door is designed for larger openings or exposed locations where its robust construction makes it particularly tolerant of high wind conditions. Its flush faced design renders a high aesthetic appearance with the energy saving benefits of an insulated construction. 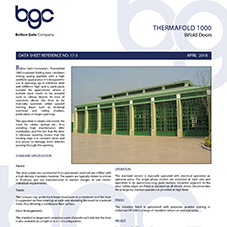 The Thermafold 1000 insulated folding door combines energy saving qualities with a high aesthetic appearance. It is designed for use in openings up to 6000mm wide and 6000mm high and is particularly suitable for applications where a bottom track needs to be avoided such as railway depots. 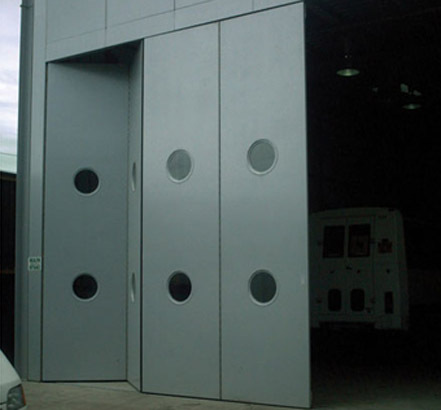 Its ease of operation allows the door to be manually operated, unlike upward moving doors such as sectional overhead and rolling shutters, particularly on larger openings. 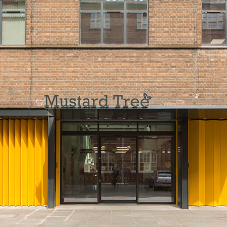 The operation is simple and avoids the need for cables, springs etc., thus avoiding high maintenance after installation, and the fact that the door is sideways opening means that the leading edge is in constant vision and less prone to damage from vehicles passing through the opening.